What makes humans unique are the different experiences they have and the perspectives they hold. Not everyone has the same path to success, and some face different challenges than others. 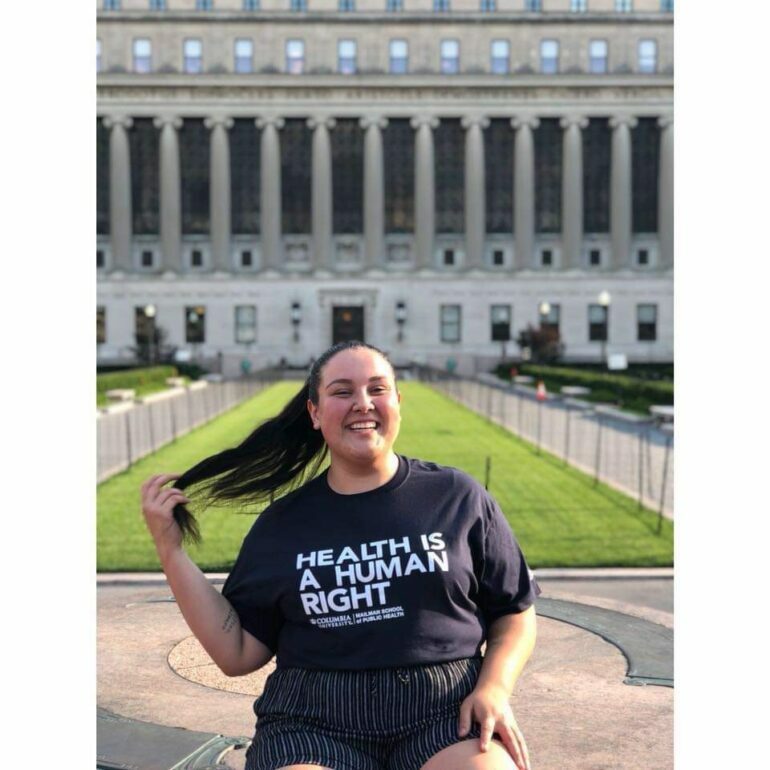 On paper, Sydney Schad is a senior majoring in health sciences at USD, and is heading to the Ivy League institution Columbia University, where she will be pursuing a Master of Public Health in Population and Family Health with a certificate in Health and Human Rights. That doesn’t tell you the ups and downs she’s experienced during her time at USD. Schad became interested in attending USD as a participant of South Dakota GEAR UP (Gaining Early Awareness and Readiness for Undergraduate Program) when she visited the campus. “I liked USD because of the Native American Cultural Center (NACC) and just something about it felt nice,” Schad said. Schad later credited the NACC as an anchor to campus when she felt like leaving college. Schad still goes to the NACC to do homework and hang out with friends and describes it as a home away from home. Schad recalls a time where multiple students came together to cook there and celebrated another student as recent as last week. “So Thursday we had three different soups there, everyone was hanging out and doing homework and while we were sitting around, one of our students got accepted into an internship so we all celebrated her at the same time,” Schad said. Besides the benefits of free printing and an academic adviser, the Director of Native Student Services has an office within the building. Marisa Cummings offers more than just a director role to the NACC and creates close relationships with the students. “I guess (I) would be viewed as a supplemental counselor but also because we view things as relatives, like an auntie, that students can come to when they’re going through times that are good; when they want to celebrate and share news that they’re getting into Columbia, and we can cry together, going through speeches, you know when (Schad’s) about to graduate,” Cummings said. As a child, Schad didn’t know where she wanted to live or what she wanted to do, just that she wanted to serve the Native American population. She came to USD she started off as a nursing major, but soon discovered it wasn’t for her. It was when she took a health science course she knew what she wanted to do. Schad first discovered the possibility of a public health masters program while at a college career fair. From there she applied to summer programs in public health, including the one at Columbia. She was selected and attended the program after her junior year at USD, and loved the experience. When it came time to graduate school applications, she had connections from Columbia draft recommendation letters, but it didn’t prevent her nagging fears. Schad still struggles with imposter syndrome or a false and sometimes crippling belief that one’s successes are the product of luck or fraud rather than skill.